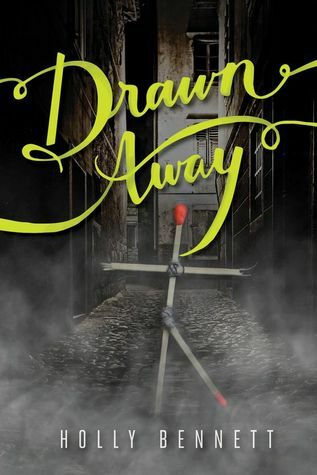 Drawn Away by Holly Bennett is something of an urban ghost story novel, something of a literary mash-up. It draws on Hans Christian Andersen’s heart-rending tale of the Little Match Girl to tell a contemporary story about mothers’ love, romantic obsession, and cooperative problem solving. Jack is an ordinary guy living a fairly ordinary life when he is pulled into a shadowy, misty space where he meets a thin, intense girl. Then zap, he’s back in the real world and flirting with Lucy, his soon-to-be girlfriend. When Lucy and Jack discover they’ve both encountered the thin girl, Klara (who turns out to be the ghost of the real-life inspiration for the Little Match Girl), they must work together to keep Klara from luring Jack back to the shadow world forever. I liked this novel; it has a brisk-moving plot and raises issues of both historical and contemporary significance. The Klara subplot invites readers to consider domestic violence, the consequences of poverty, and the plight of women in a morally punitive society. The plot thread of Jack’s diabetes turns his insulin pump into a character and normalizes the process of managing the disease. The figure of Hans Christian Andersen introduces themes of authorship and responsibility, and also allows the novel to represent a very difficult, and frankly harsh era, in an intriguing manner. That said, the Andersen subplot is something of a tangent; it is resolved a bit too tidily through Lucy and her mother. I also found the relationship between Jack and Lucy unusually pitched. Although they are seventeen and eighteen years old, and do engage in some behaviours of older teens (such as drinking alcohol and smoking pot), their romantic relationship is very restrained. But perhaps this decision reflects more about the sensibilities of classrooms and public librarians than it does about modern teens. In short, Drawn Away is an energetic, accessible novel for grades eight and up. It’s likely to appeal to readers interested in the recent revival of fairy tales through popular texts like Into the Woods, Once Upon a Time, and Beauty and the Beast (as well as the junior retellings of the Whatever After series). Drawn Away could also provide a stepping-stone to more sophisticated retellings like Beauty by Sheri S. Tepper and The Snow Queen by Joan D. Vinge. Originally published on LibraryThing on April 11, 2017. In Weerdest Day Ever!, Bunny (his grandfather prefers Bernard), his brother Spencer, and their grandfather David McLean go on a weekend camping trip. Bunny discovers that a war is about to break out between Canada and America, and somehow the man who’s stolen Spencer’s cell phone has something to do with it. Can Bunny retrieve the phone and stop a war? Well, if anyone can, it’s Richard Scrimger’s Bunny, a fascinating, quirky character whose view of the world is unconventional but delightful. I have to state up front that I deeply enjoy Richard Scrimger’s books and have been following his writing since The Nose from Jupiter (1998). So I was pleased to learn about the Seven Prequels. In this series, the writers of Seven (the Series) and the Seven Sequels reach back in time. The framing story of Weerdest Day Ever! introduces Bunny as a teenager writing down his story as an English assignment; in the story itself he is only twelve. The story is told in Bunny’s inimitable way, self-conscious spelling errors and all. Weerdest Day Ever! invites readers inside a sly joke and tells an absurd tale of mystery, courage, and friendship. It’s wonderful fun. This review was originally published in Resource Links, October 2016. The opening chapter of The Wolf and Me finds Bernard — Bunny to his family and friends — wearing rented ice skates and trapped in the trunk of a car. From that unlikely moment a story of epic proportions unwinds, involving national terrorists, aggressive border guards, a lost baby, and a daring last-minute rescue. The story is propelled by a wild cast of characters, such as the beautiful but treacherous Vi, the good-hearted Bet, the elderly but surprisingly resilient Katy, and the wolf of the title. At the centre, however, is Bunny, who is such a likeable character — if perhaps not the most reliable of narrators. Bunny reminds us regularly that he’s “dumb” but we see how clever he really is and how many strengths and gifts he possesses. As he lurches repeatedly from frying pan to fire and back again, Bunny demonstrates lateral thinking, problem solving, and determination — admirable qualities in any character. I found this book great fun. Bunny’s adventures veer toward the edge of implausible, but his frank and lovable voice made me cheer for him. Somehow Bunny always comes out OK, thereby leavening the consequences of the story for younger readers who may not be ready to see their protagonist serious imperilled. The introduction of the wolf was an effective way to signal themes of maturity, responsibility, and honour — within the context of a series where these themes are trickily entangled. 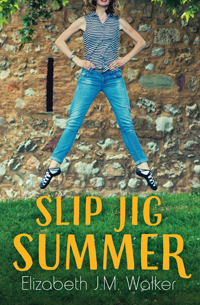 Like Richard Scrimger’s previous novels, this book is playfully and smartly written. Readers who have already explored the original Seven, the Series books will welcome another delightful, if improbable, adventure with Bunny (see previous post for more details). 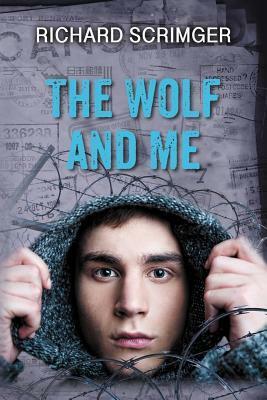 The Wolf and Me is an all-around rollicking read! This review was originally published in Resource Links, October 2014. 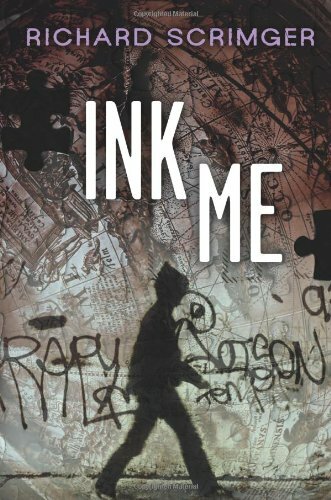 In the opening pages of Ink Me, Bunny’s grandfather gives Bunny a simple task: go to a particular location and get a tattoo. That simple task sets in motion an almost fantastic chain of moments, increasingly violent and frightening. Fifteen-year-old Bunny innocently enters the world of gangs but lacks the understanding to get out before he is irremediably caught up in events that cannot be easily resolved. Bunny is “dumb,” as he describes himself. The exact nature of his disability is not made clear, but readers will understand immediately that Bunny does not possess a conventional intelligence. Yet Bunny is a likeable, engaging narrator whose storytelling style is captivating both in its naïveté and in its omissions. In its idiosyncratic rendering of the ambiguities of language, the text reveals many moments of unexpected insight and brilliance. As the story gets darker, readers are likely to be squirming, trying to figure out how Bunny will extract himself from the situation; the resolution may be surprising. The events of the story are, for better or worse, highly topical, and the story reflects themes that have appeared in some of Richard Scrimger’s other novels. There is serious violence in this text, although it is somewhat muted; the threats characters make are palpable, and the atmosphere of the story, despite Bunny’s comic tone, is distinctly ominous. 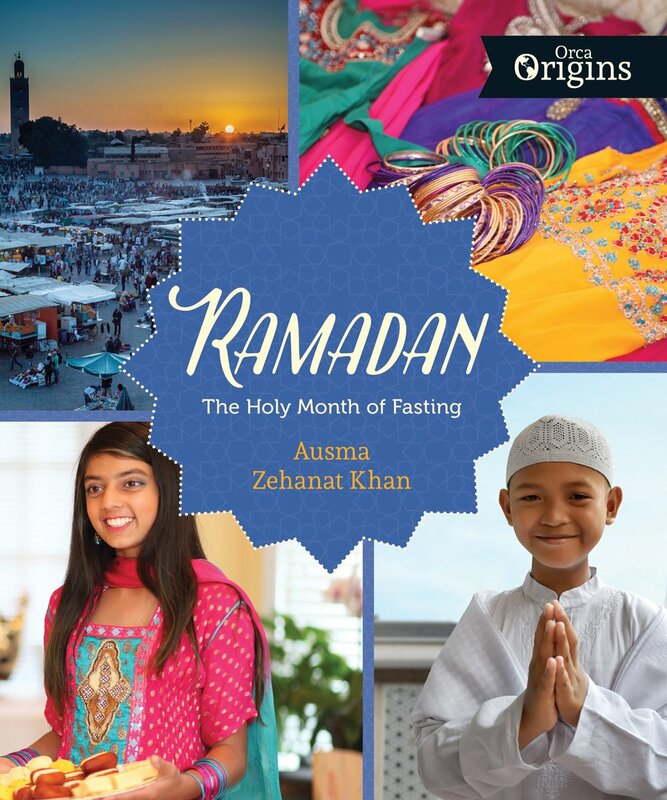 Readers may want to talk about the book after it ends, and the text would lend itself well to group discussion in an appropriate classroom or book group. There are so many directions this conversation could take; this is a surprisingly rich book, despite its casual presentation. I really liked Ink Me. It is clever in its execution and wise in its thematic treatment. I am also intrigued by the concept of the series this book belongs to, involving seven interlocking but non-sequential texts written by seven distinct authors. I look forward to reading the other volumes in the series. This review was originally published in Resource Links, October 2012. 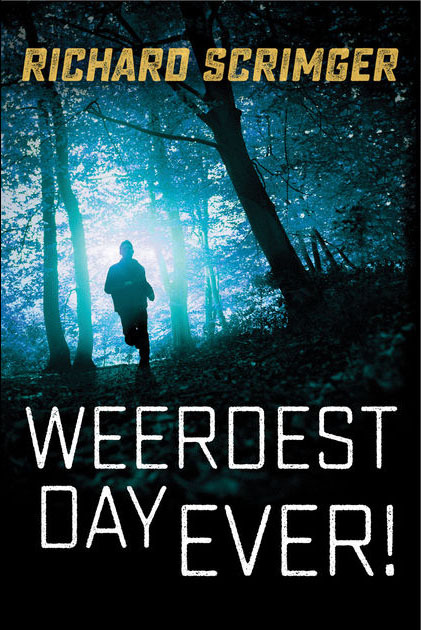 ** Addendum: If you enjoy Bunny’s adventures, check out Weerdest Day Ever! by Richard Scrimger, available in September 2016. It’s a prequel to Bunny’s Seven series books that takes place several years earlier and is intended for a middle-grade audience. It’s very, very funny! One who is capricious is given to changing mood or behaviour frequently and rapidly; capriciousness may also refer to the impossible, that which is based in fancy or fantasy. In Capricious, sequel to 2013’s outstanding Audacious, Gabrielle Prendergast uses the verse-novel form to explore both senses of capriciousness and the consequence of being so. After volatile experiences with both the law and the court of public opinion, Ella (formerly Raphaelle) is a subdued but still fiercely independent Grade 11 girl. Her life is as complex as ever. She’s intimately involved with one boy while considering dating another. As a condition of her return to school, she’s attempting to maintain a truce with a group of mean girls. And she’s worried her little sister Kayli is trying to grow up too fast. Add to that her persistent questions about life’s bigger issues — religion, morality, freedom, honour: for all the flightiness the title suggests, Ella is contemplating deep and serious matters. Overall, I enjoyed Capricious. Characters we met in Audacious are back, with more developed roles in the story. Ella’s past actions continue to have consequences, some of them cruel, yet Ella’s responses are generally thoughtful and consistently authentic. I like that Ella stands firm in her individuality and owns both her vulnerability and her non-conformity. I also like the passages about Ella’s maturing artistic talent, expressed in the sketching and displaying of various people’s hands. Finally, I enjoyed the variety of poetic techniques and forms the author has used. I found this novel immensely readable and rewarding. I did, however, feel the novel stands on its own imperfectly. It can be read on its own, of course, but to understand Ella’s insecurities and idiosyncrasies fully, readers really need to know her trajectory from the previous book. Capricious ends optimistically, if not entirely happily, and acknowledges the ongoing difficulty of realizing one’s true self. There is space for another volume in this series, and I hope the author is working on a third book about Ella. Capricious could make an excellent independent study text for any high school reader who enjoys poetry, and it should be very popular in the teen section of public libraries. 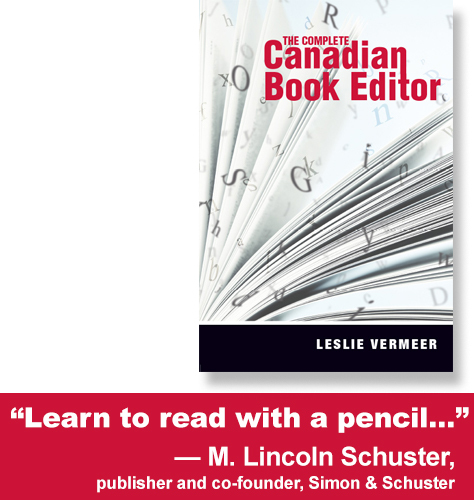 This review was originally published in Resource Links, April 2014.